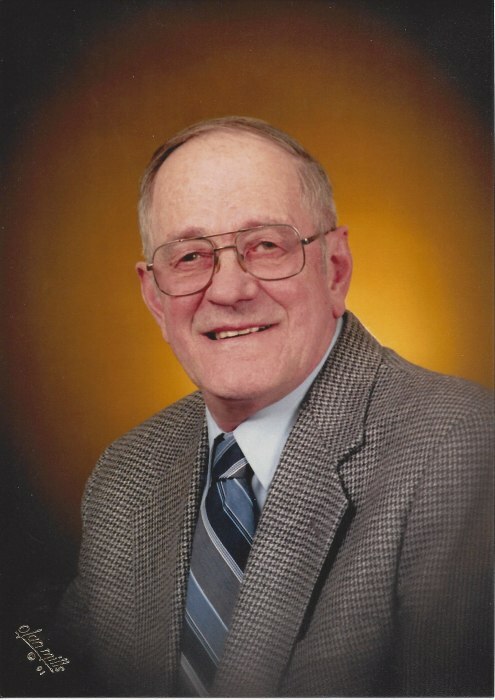 Obituary for Christie F. Bloom | Peterson Kraemer Funeral Homes & Crematory Inc.
Christie F. Bloom, 86, Marathon passed away peacefully at his home on Saturday, February 9, 2019 surrounded by his loved ones under the care of Aspirus Comfort Care and Hospice Services. He was born September 14, 1932 in Wausau, son of the late Harvey Bloom and Henrietta (Voelkman) Volm. On May 16, 1956 he married Geraldine Lemanski at Sacred Heart Catholic Church, town of Cassel. He was an avid fisherman & hunter passing all his skills onto his grandkids and great grandchildren. He always enjoyed looking out his back yard watching all the deer, turkeys and birds which he kept well fed with all his feeders. A special hobby of making maple syrup was shared with his family and friends throughout his life. Survivors include his wife, Geraldine Bloom, Marathon, his children, Kathleen (Wayne) Busse, Marathon, Steven (Robin) Bloom, Marathon, Camille (Dean) Schafer, St. Paul, MN, his grandchildren, Aaron (Dana) Busse, Marathon, Andy (Kelly) Bloom, Glendale, WI, Amy (Julio) Cruz, Marathon, Benjamin and Violet Schafer, both of St. Paul, MN and five great grandchildren, Marcos Cruz, Ava Busse, Owen Busse, Andres Cruz and Avery Bloom, his brothers Tom (Marilyn) Volm, Charlie (Sharon) Volm, his sister Tillie Hugley, sister-in-law Ursula (Bill) Volm and many extended family and friends. Christie was preceded in death by his father, Harvey, his mother, Henrietta, his step-father, Nicholas Volm, his brother, Nicholas Volm, brother Bill Volm, sister, Nancy Lang, mother and father in-law, brother-in-law and sister-in-law. The Funeral Mass will be celebrated on Thursday, February 14, 2019 at 11:30 a.m. at St. Mary’s Catholic Church, Marathon. The Rev. Msgr. Joseph Diermeier will preside. Burial will be in the parish cemetery. Visitation will be held on Wednesday from 4 to 8 p.m. at the Peterson/Kraemer Funeral Home, Marathon and again on Thursday from 10:00 a.m. until the time of services at the church. There will be a parish rosary service at 7:30 p.m. Wednesday evening at the Marathon funeral home.